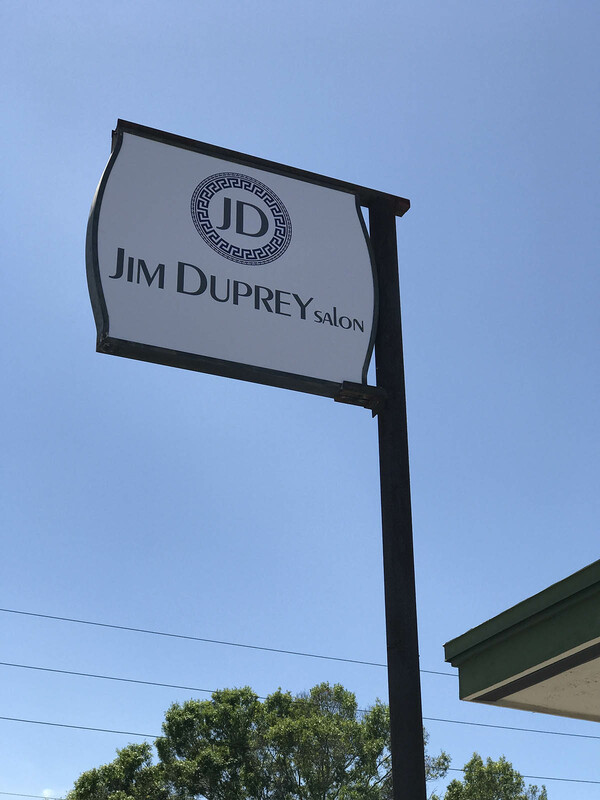 Our favorite celebrity stylist Jim Duprey, has recently purchased his very own building and enlisted our services to update the storefront design of the new space! 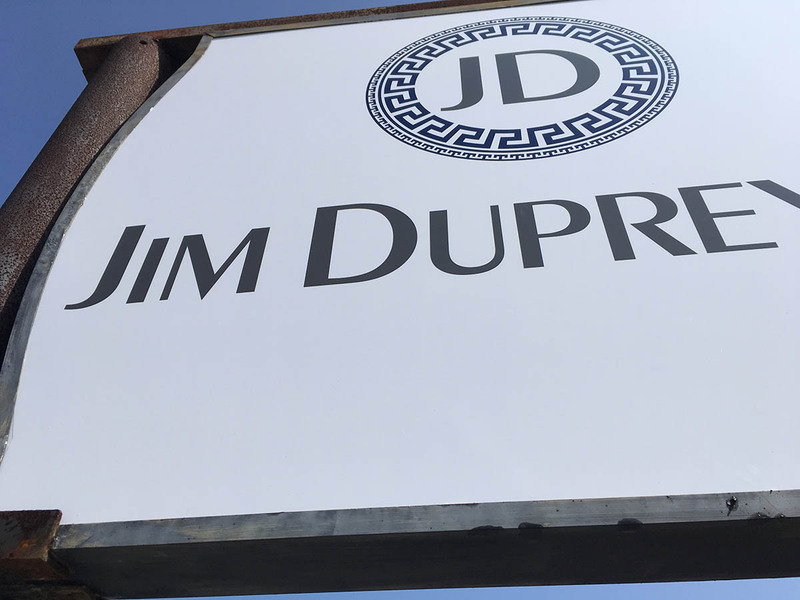 After just one planning meeting with our designers, Jim was able to decide on a stunning new look for the property, as well as a gorgeous new logo and branding package. 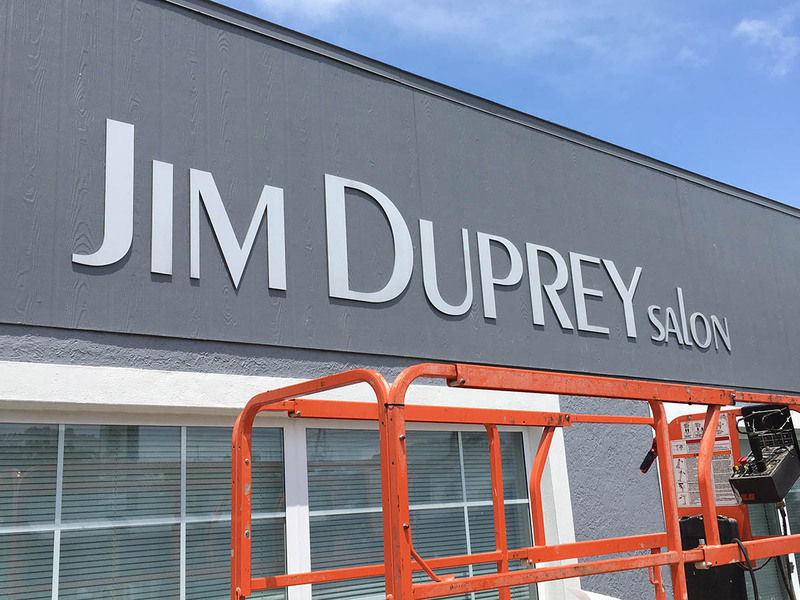 We have incorporated several different elements to the design, but clearly the showstoppers are the 3/8″ thick by 24″ tall brushed aluminum letters, that now adorn the front of the building facade. 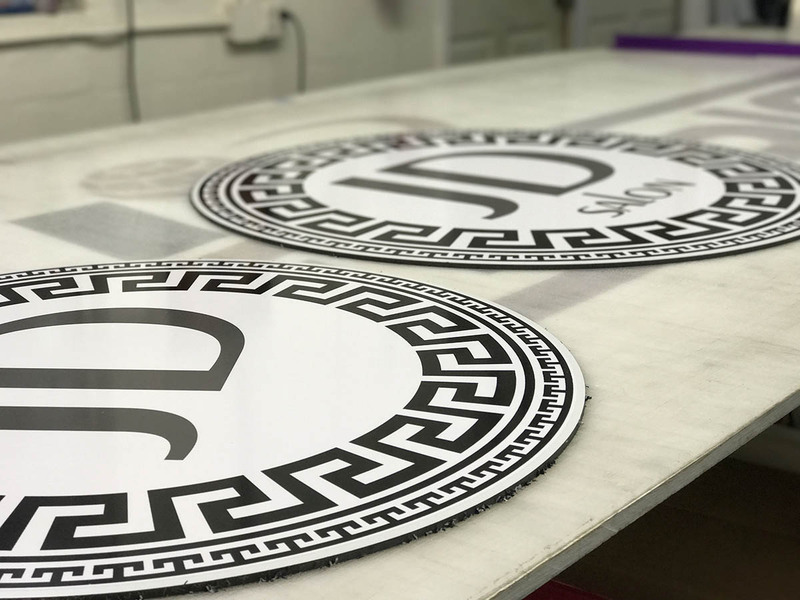 We then produced new custom routed sign panels to give the existing street sign a face lift, and introduced two circular signs to either side of the storefront. 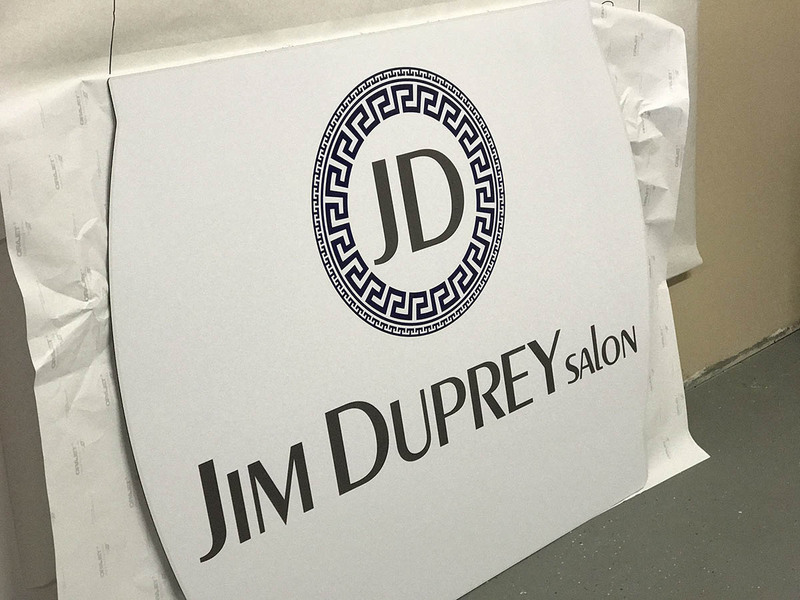 Last but certainly not least, we used a Greek key motif along the existing exterior trim to tie the elements of Jim’s new brand altogether. 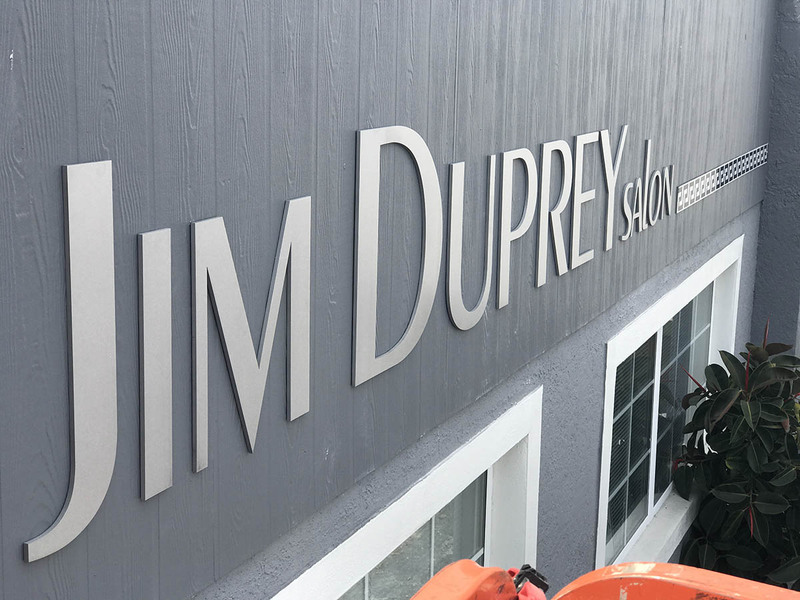 This was certainly a very exciting project for our team, a huge THANK YOU to Jim Duprey and his team members for including us in making this brand new space a HIT! 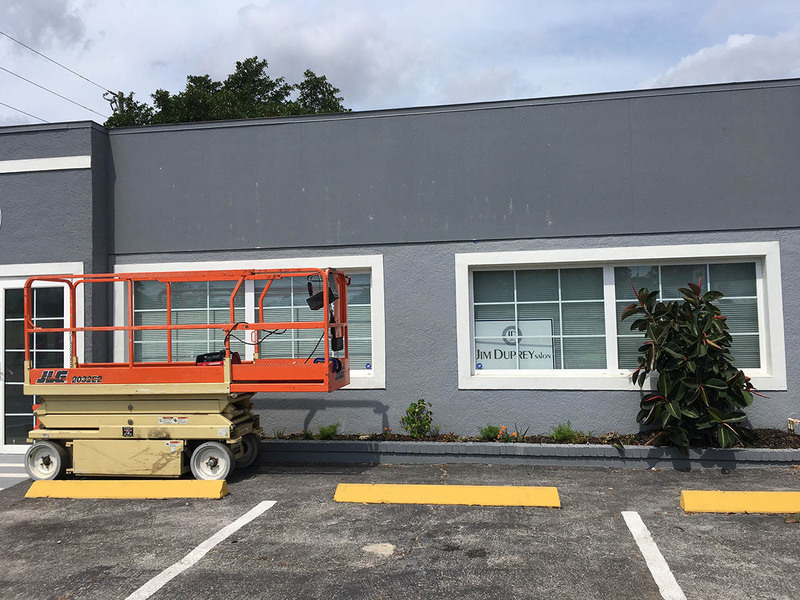 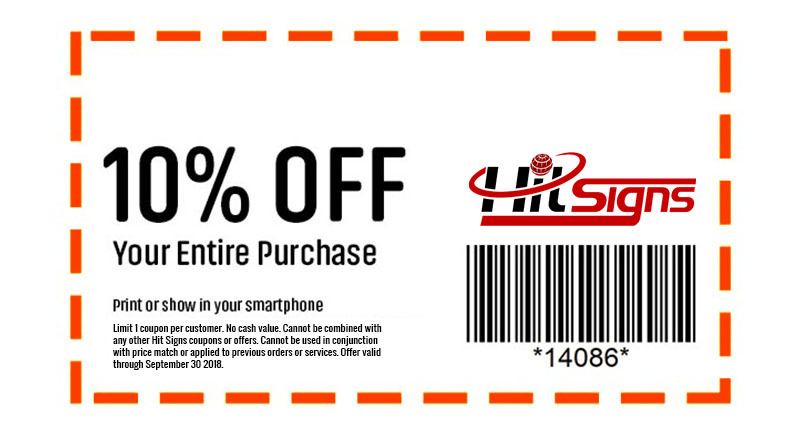 If you are looking to update your retail storefront, contact us today! 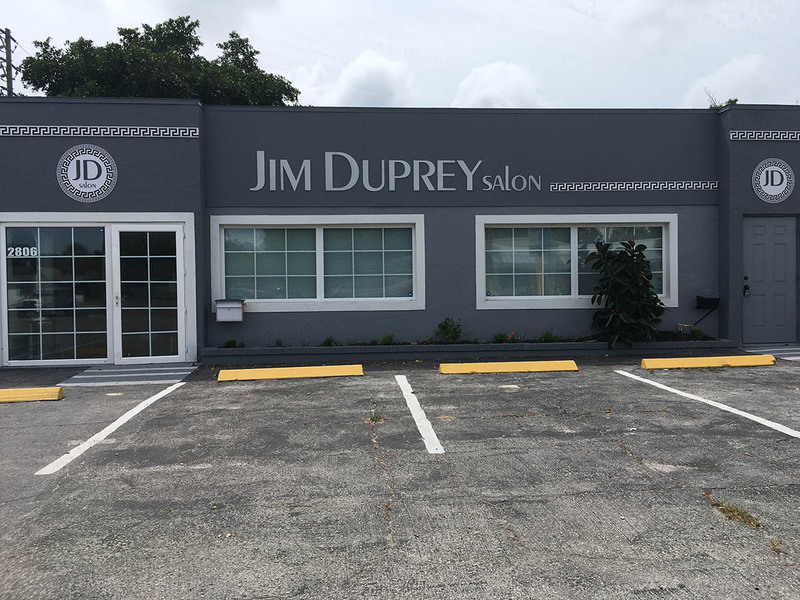 Jim Duprey Salon is now open at 2806 16th St N, St. Petersburg, FL 33704. 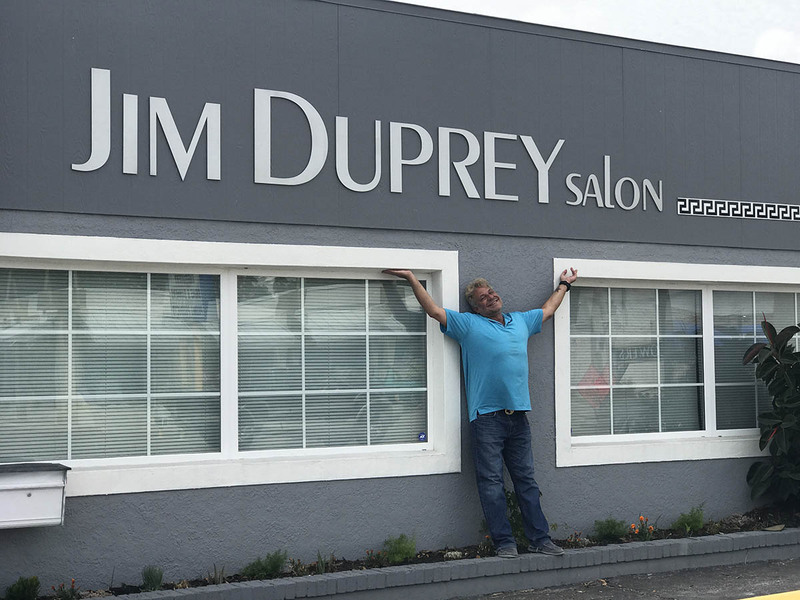 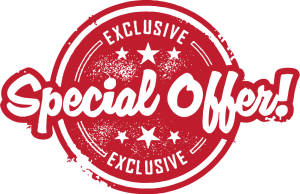 If you are searching for a fantastic new stylist in the area, contact Jim today!